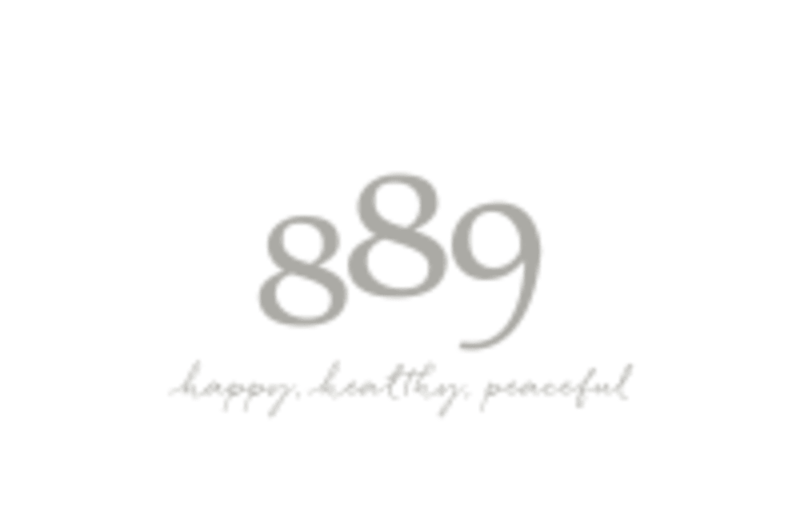 Our mission at 889 is to inspire happy, healthy, peaceful lives and to make yoga, barre, meditation, and pilates an accessible and enjoyable possibility for everyone. We offer over 90 classes a week, offering a range of styles and levels, to accommodate all of our guests. Our late 1800’s Victorian ‘home’ has been mindfully designed with the intention of preserving its historic heritage and integrating this with more modern elements of eco and calm-inspired lifestyle design. Please bring your yoga mat with you, a water bottle and comfortable clothes to practice in. If you will be practicing barre at 889, barre socks are also required. You can purchase these in studio or in the 889 shop online! - www.889community.com/shop Late entry is not permitted. Please bring your yoga mat with you, a water bottle and comfortable clothes to practice in. 889 offers complimentary towels and lockers that are available to you with locks included. If you will be practicing barre at 889 barre socks are also required. You can purchase barre socks at 889. 889 holds time with the highest integrity. We are committed to starting and ending classes on time. Studio doors close precisely at class start time. Late entry is not permitted. Amazing class! So many unique exercises, I’m obsessed &amp; will be back! Great class. Full body including some barre time! Sub teacher was all over the place and music very loud for a baby class. Wasn’t nice that at end of class she told the mothers to clean up the studio because she has to run and pick up her kids. Leslie’s class is NEXT LEVEL. Best Pilates class ever. Such unique moves with a major burn. Loved it &amp; will be back! This class was too easy for my level! Instructor great. Class a bit too large.